Are you looking to Vape and chill? Sit back and relax with the smooth mixed berry flavour of the Peng CBD OG Kush Vape Liquid. 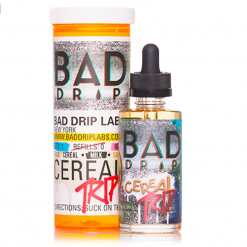 This CBD Vape oil is a high-grade oil that will produce great clouds and offers a smooth hit without a nasty aftertaste. 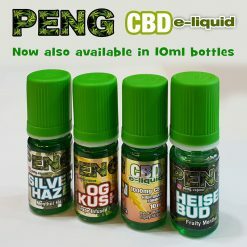 The best part about Peng CBD Vape juice? you get all the wonders of cannabidiols, without the high. OG Kush is a full-spectrum CBD e-liquid for vaping. A Full-Spectrum Hemp extract gives you all the benefits that are derived from the Hemp plant as a whole. In addition to the cannabinoids, the extract is full of vitamins and minerals which work collectively ensure maximum therapeutic benefit. Want to chill with CBD? The OG Kush is one of our most popular CBD liquid for its calmative effect. It is helping you relax and unwind without getting high. Vaping CBD will ensure you feel the effects quickly. Are you looking to gain medicinal benefits of CBD? The cannabidiol Hemp Extract is popular around the world for its medicinal properties. Our customers find that the Peng CBD Vape-Oil assists with sleep, pain relief, muscle soreness and a reduction in inflammation. Will CBD get you high? This CBD comes from the hemp plant, grown and harvested for its negligible levels of THC (The compound responsible for a high). This blend is entirely legal in the UK. While some people associate the calming properties with a high, they are two separate chemical components. A high-grade formula, for use with electronic devises only. 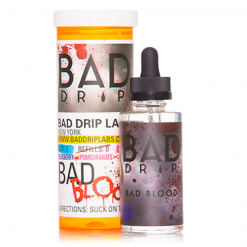 Available in 3 strengths of CBD: 300mg, 600mg and 1000mg. In VAPOUROUND’s 2018 awards PENG was awarded 2nd place for best CBD e-liquid.. 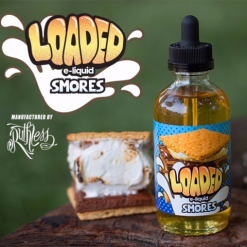 INGREDIENTS: Full Spectrum CBD, (Cannabidiol Hemp Extracts), Natural and Artificial Flavouring, Vegetable Glycerine (60%) and Propylene Glycol (40%). Zero nicotine. Best cbd on the market, tried loads of brands, some ok others waste of time but you pay more for this cos its real.